Autonomy is one of the key aspects in Daniel Pink’s motivation triggers: Autonomy, Mastery, Purpose. However, there is such a thing as too much autonomy. In this episode we explore the story of a team that was too autonomous. Listen in to learn what problems that led to, and how you can help your team avoid those problems. 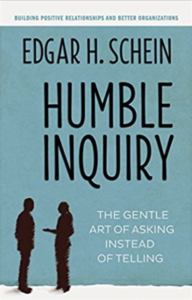 Humble Inquiry by Edgar Schein is a book about the gentle art of asking and not telling. One of the core skills for a Scrum Master: asking the right questions. Michael helps companies and people become more agile by providing coaching, training and consulting in agile frameworks, principles and mindset. Michael has consulted for a wide range of companies from small start-up to international corporation, transforming teams, divisions and entire organizations. He is a seasoned veteran with Scrum, Kanban, XP, LeSS and SAFe, Lean and Six Sigma and harnesses this vast experience for his clients’ success. Michael is a Thought Provoker helping organizations become more agile. 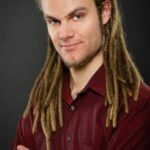 You can link with Michael Küsters on LinkedIn and connect with Michael Küsters on Twitter. Retrospectives can sometime be affected by an atmosphere of negativity. When the team is only complaining, but not looking forward we have a challenge. In this episode we explore such a situation. And how simple changes helped Jeff turn the atmosphere around, from complaining to figuring out what “we” can do to improve the situation. This week we discuss a book that talks about working with our clients (Scrum Masters serve coaching/service clients), and how we are often conflicted as to the right course of action. Great Scrum Masters are able to deal with that conflict, showing vulnerability while not being afraid of it. 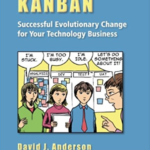 Listen in to learn how this book influenced Jeff’s approach to being a Scrum Master. 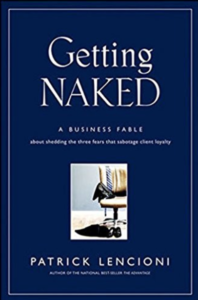 Getting Naked: A Business Fable About Shedding The Three Fears That Sabotage Client Loyalty. 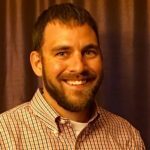 Jeff is a speaker, trainer, and agile coach. He has been a Product Owner, Scrum Master and Development Team member. Jeff has worked with enterprise companies to small start-ups. His goal is to end human suffering in organizations, by nudging people to be the change they want to see in the world. 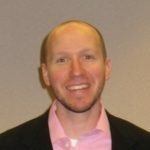 You can link with Jeff Bubolz on LinkedIn and connect with Jeff Bubolz on Twitter. Scrum is a starting point. The goal of Scrum is to unlock the ability that the teams have to continuously improve and get better at satisfying the customer in a way that is sustainable for both the company and the business. In this episode, we review a story of a team that was not yet on the Scrum and improvement journeys. There was no trust. No clear leader. How to start a team on the improvement journey? Listen in to learn how Scrum can help you get started. 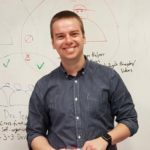 Petr has a small consulting company where he helps businesses overcome obstacles of ever-faster changing environment, growth problems, stale processes, poor performance, lacking company culture etc. Petr helps companies be more adaptable through empowering their people. Petr also does some pro-bono consulting. Recently for example for a Liberal/democratic school in Prague. His passion is introducing modern management (we can call that “Agile”) to “old school” businesses like heavy industry, manufacturing and so on. Petr wants to help build a brighter future! 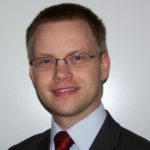 You can find Petr’s business at: www.cerebra.cz. You can link with Petr Holodňák on LinkedIn. When companies or teams start to grow, the initial roles we play need to change. Some prefer to focus on one specialty, and growth enables (through hiring of more people) some people to hide from some of the work and focus on only one skill. But is that what we need in an Agile team? In this episode we discuss the delicate balance between being a specialist and being able to collaborate with the whole team. Specialization leads to hand-offs, which makes work slower, and communication harder. How can we strike the balance between specialization (which we need) and collaboration? In this episode we also refer to the book The Living Company by Arie de Geus, and the 5 stages of grief, a model that helps understand change at a personal level. 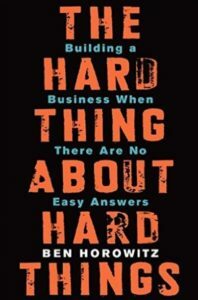 The Hard Thing About Hard Things is a book by Ben Horowitz, who is a cofounder of Andreessen Horowitz a famous Venture Capitalist company. Horowitz is also on of Silicon Valley’s most respected and experienced entrepreneurs, and in this book he offers essential advice on building and running a startup as well as many other things they don’t teach you in business school. Agile coach from Scrum Data since 2010. 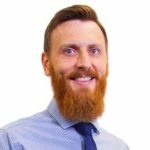 Daniel comes from a strong Business intelligence background. He is passionate about large scale product development , organisational structure and culture, being idealistic pragmatist, framework agnostic. You can link with Daniel Hooman on LinkedIn and connect with Daniel Hooman on Twitter. Email is a very helpful tool. It has a lot of things going for it. Email gives us a quick way to jot down some thoughts and ask a colleague (or many) for help. It helps keep track of conversations. It even enables remote teams (with limited overlap in working hours) to communicate without loss of memory. However, it also has some bad sides when misused. In this story we explore how certain uses of email can be destructive for a team, and some tips on how to detect and avoid that anti-pattern. Scrum Masters act as consultants. They help, but are not responsible for the outcome of the team. They answer, and most importantly, ask questions to help the team learn, reflect and advance. So, we must understand how to be a good consultant. 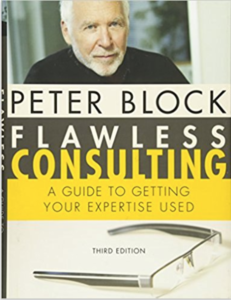 Flawless Consulting, by Peter Block is a book about how to be a better “helper” (read consultant) for the teams and organizations we work with. Chad’s first experience with Scrum was in 2005 on a global team responsible for consolidating financial software. After some dark days of death march projects, he left his traditional business analyst and project manager roles behind. 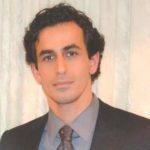 He is now consulting organizations as an external change agent and organizational agility advisor. You can link with Chad Beier on LinkedIn and connect with Chad Beier on Twitter. Chad’s company is: Whiteboard Consulting. When things don’t go well we are tempted to act. “Just do it!” we hear often. But is that always the right approach? In this episode we explore some of the problems teams experience, but we also discuss the temptation to act too early, and too often. Understanding a problem deeply does not come quickly, and management is often rewarded for action, not understanding. So, how can we – as Scrum Masters – resist the temptation to act before we understand? 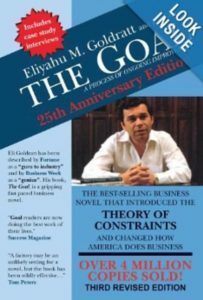 The Goal by Goldratt is a book that anyone interested in process improvement should read. A classic that established Theory of Constraints as a popular approach to continuous improvement in the manufacturing world, The Goal also has many lessons we can apply to creative work like Software Development. Heidi is an Agile coach who has been working with remote teams since 1999. She aims to show teams and enterprises the value of a cohesive vision and mission, systems thinking, and self-organizing teams. An active member of the Agile community, she trains and speaks at events and conferences worldwide. You can link with Heidi Araya on LinkedIn and connect with Heidi Araya on Twitter. You can join Heidi and other coaches every month for a virtual meetup at https://www.coachingagilejourneys.com. Teams want to do their best, and many want to deliver high-quality. It is only natural that they would focus on improving the quality of the software that they develop. However, without the understanding of why the quality is important, we may get stuck in an infinite loop of bug fixing. In this episode we review such a story, and how Felix was able to help the team understand better their true goal. This week we discuss the #NoEstimates book, and how it helped Felix adopt Agile ideas in any kind of project. Felix likes to bring out the best in as many people as possible by providing an environment in which people can sustainably thrive. After his Bachelor in Computer Science he wanted to develop people rather than software. He also is part of 12min.me, a movement for inspiring people. You can link with Felix Handler on XING and connect with Felix Handler on Twitter. Teams can be their own worst enemies some times. In this story, Leonardo shares the story of a team that slowly entered a negative self-defeating pattern: they didn’t believe any of the positive feedback they got, but felt destroyed by any of the negative comments that were coming their way. The team did not believe in their own goodness. How do you get out of such an anti-pattern? Listen in to learn how the team entered this pattern, and what Leonardo tried to do to get the team out of that self-defeating loop. 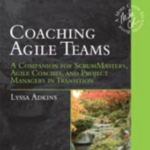 Leonardo shares what he learned from Coaching Agile Teams, by Lyssa Adkins, a book that explains the different aspects of the Scrum Master role and Agile Coach. And helps us define our own coaching approach for the teams we work with. Every team is different, and this book helps us reflect on those differences. Currently Leonardo is a Scrum Master at Equifax Ireland. Focused on building high performance teams through Agile and/or Lean adoption, he is an enthusiastic about Lean and Agile mindset in the Software Development industry as the transformation agent to create great working environment as well as products that matters. You can link with Leonardo Bittencourt on LinkedIn and connect with Leonardo Bittencourt on Twitter. Silos are very useful if you want to store cereals for a long time. However, in knowledge work organizations, silos do more harm than good. In this episode we explore how the silo culture can infect a team and lead to serious problems. Including lack of collaboration, having some people overloaded, while others are kept waiting, etc. We also discuss the impact silos have on team performance. How many different silos do you have on your team? Listen in to learn about the many silos that can develop in a single team! 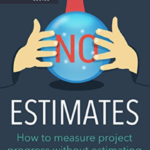 This week we feature the book: NoEstimates, How to measure project progress without estimates. A book that describes how you can help forecast completion dates for Agile projects even if the team has not estimated the size of all the stories in the backlog. 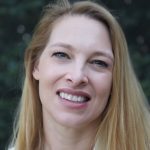 Natalie is a Certified Scrum Master and Agile Coach with over 12 years experience working with both veteran and new agile teams. 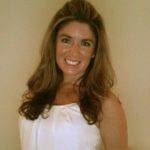 Her experience spans everything from mobile and embedded systems to enterprise scale website projects with a client base that includes Microsoft, Amazon, Coca-Cola and many others. You can link with Natalie Cervantes on LinkedIn.